1. Combine buttermilk mixture ingredients in a bowl. 2. 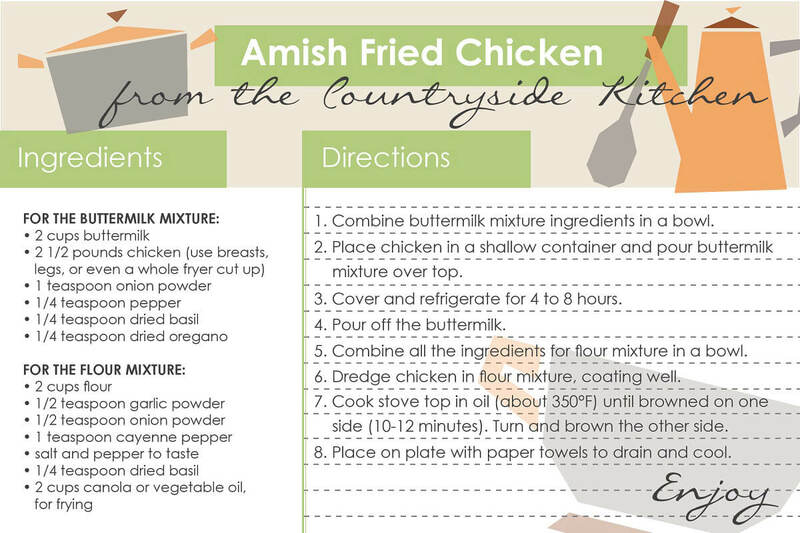 Place chicken in a shallow container and pour buttermilk mixture over top. 3. Cover and refrigerate for 4 to 8 hours. 4. Pour off the buttermilk. 5. Combine all the ingredients for flour mixture in a bowl. 6. Dredge chicken in flour mixture, coating well. 7. Cook stove top in oil (about 350°F) until browned on one side (about 10-12 minutes). Turn and brown the other side for the same amount of time. Make sure oil is not hot enough to burn the chicken. 8. Place on plate with paper towels to drain and cool.